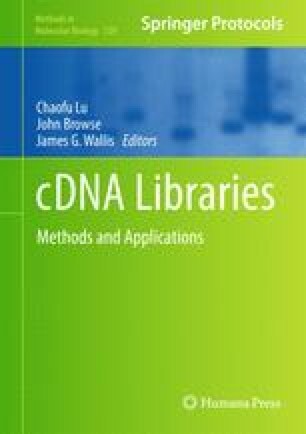 Current standard cloning methods based on the use of restriction enzymes and ligase are very versatile, but are not well suited for high-throughput cloning projects or for assembly of many DNA fragments from several parental plasmids in a single step. We have previously reported the development of an efficient cloning method based on the use of type IIs restriction enzymes and restriction–ligation. Such method allows seamless assembly of multiple fragments from several parental plasmids with high efficiency, and also allows performing DNA shuffling if fragments prepared from several homologous genes are assembled together in a single restriction–ligation. Such protocol, called Golden Gate shuffling, requires performing the following steps: (1) sequences from several homologous genes are aligned, and recombination sites defined on conserved sequences; (2) modules defined by the position of these recombination sites are amplified by PCR with primers designed to equip them with flanking BsaI sites; (3) the amplified fragments are cloned as intermediate constructs and sequenced; and (4) finally, the intermediate modules are assembled together in a compatible recipient vector in a one-pot restriction–ligation. Depending on the needs of the user, and because of the high cloning efficiency, the resulting constructs can either be screened and analyzed individually, or, if required in larger numbers, directly used in functional screens to detect improved protein variants. The authors would like to thank Dr. Stefan Werner for critical reading of this manuscript.